I’ve been waiting very patiently for this video, and YukenDoIt does not disappoint. 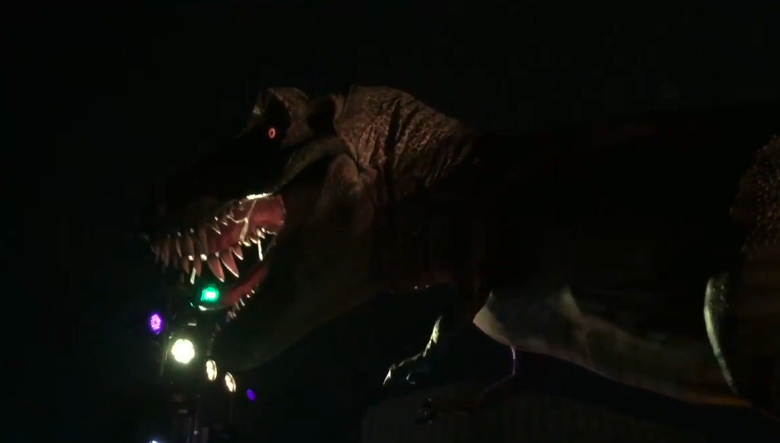 Universal Japan’s all new nighttime parade is flat out amazing, but one of the most amazing aspects is the Jurassic World portion of the parade. 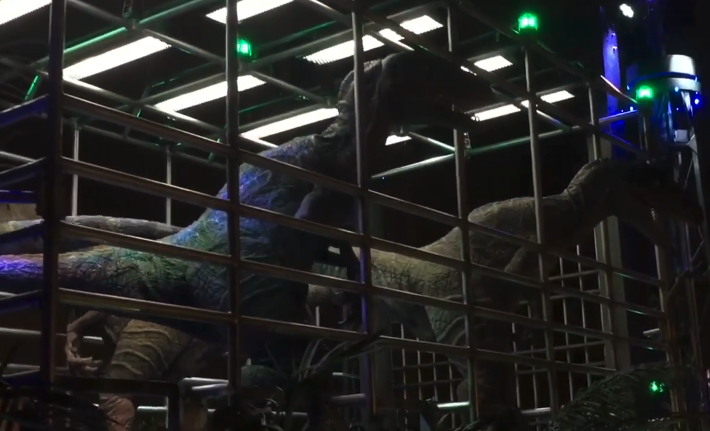 While the entire parade brings insane floats, amazing character interactions and even some very cool projection mapping, the Jurassic World portion features a really amazing scene. Seriously, the only thing missing is a guy getting eaten by the T-Rex while sitting on a toilet! The new nighttime parade is one of the most extravagant things ever done at Universal Studios Japan, or really at any theme park anywhere. 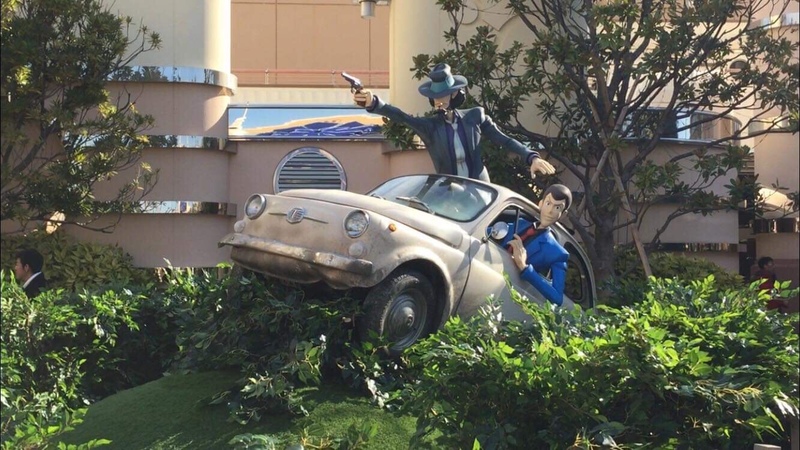 It takes things to the next level, and really brings out the essence of a movie, almost better than a ride does. The animatronics here just kind of make your jaw drop, because you remember…THEY’RE ON A PARADE FLOAT! Stegosaurus and other dinos are agitated a bit, but when the electricity comes out, they get annoyed and start thrashing around. Raptors come out of their cage and start “attacking” the humans. Then you have the pods in the beginning of the parade. You have to wonder how close to actually making those things as a free roaming ride Universal is. 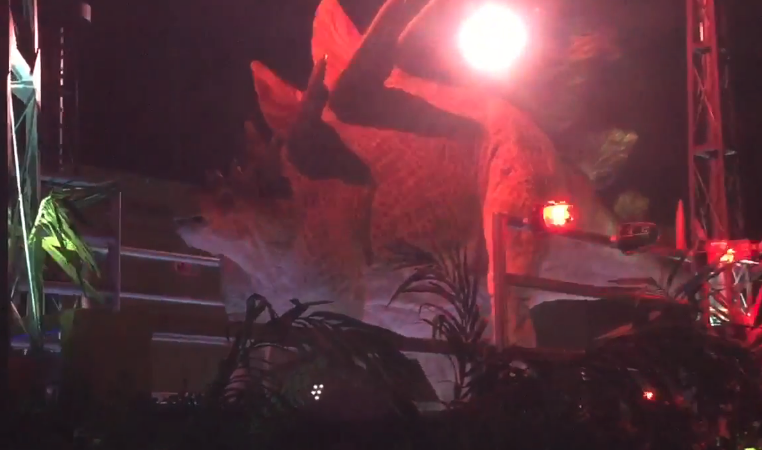 Could this be an indication of a Jurassic World ride? Naturally our favorite is the T-Rex, which is done in such a badass way. Of course you see her “escape”, and then she let’s out the most amazing roar. 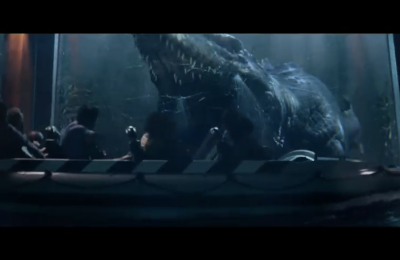 The detail is also amazing, because when T-Rex roars, you can see flesh hanging from her teeth. 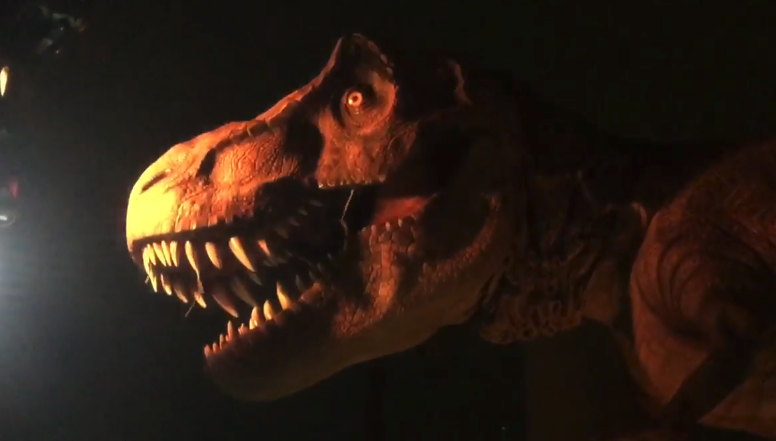 What has the king of the dinosaurs been snacking on? 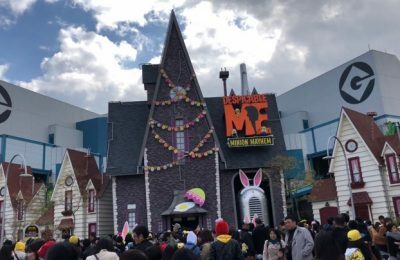 The new parade runs nightly at Universal Studios Japan, and is amazing. Previous PostRailblazer opens at California's Great America as first single rail coaster on the West Coast Next PostUniversal Studios Hollywood Opens Kung Fu Panda Attraction!